Much like willow bark, olive leaves have been used in medicine for centuries. It has been documented in ancient texts across multiple cultures, including the Bible, as a versatile remedy capable of being used as a disinfectant, laxative, and more. Current phyoto-pharmacological research (the fancy term for finding medicine in plants) has been supporting the idea that olive leaf extract can also be used to treat high blood pressure. Hypertension and high blood pressure are sometimes known as the “silent killers,” because of their prevalence and role as one of the leading causes of cardiac disease and related deaths in the modern world. Any means of treating this problematic condition, especially a natural method, is therefore highly welcome. Even if you are already taking medication for high blood pressure, it can help to discuss natural remedies with your doctor. Little can be lost from such a discussion and, as you’ll see, quite a lot can be gained. Like many other forms of plant extracts and essential oils, olive leaf extract is a liquid compound formed by drawing out various elements and components that make up an olive leaf. It is like juicing a fruit, but with a leaf. The end result is a concentrated form of everything that makes olive leaves such a useful remedy. 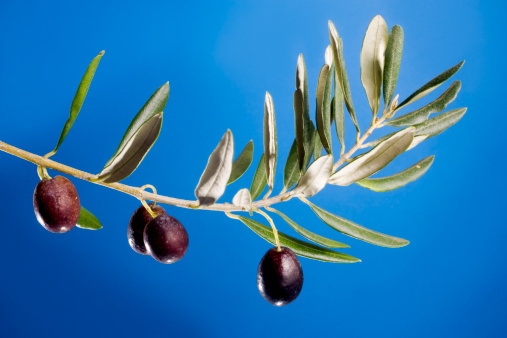 The key component in olive leaf extract is oleuropein, a substance with numerous health benefits. It also tastes terrible and is exceptionally bitter, hence why oleuropein is normally removed from olives commonly bought in the store. If actually ingested, however, oleuropein has several documented properties and benefits, the primary one being a reduction in blood pressure and a lowered risk of heart disease. Oleuropein contributes in a few different ways to lower blood pressure. The most immediate is that it has vasodilator properties. This means that in the right amounts, it will cause blood vessels to relax and widen, allowing for better blood flow. High blood pressure is a result of something causing your heart to exert more force than normal to get blood pumping through the body. Larger passageways mean flow is easier, and less force is required. The second way oleuropein helps blood pressure is because it is a potent antioxidant. Free radicals are a type of chemical substance that can be introduced to the body through outside means (inhaling smoke, drinking, certain foods, etc.) or as a byproduct of some of the body’s natural functions. Free radicals are highly reactive and like to oxidize (react) with almost anything they come into contact with, creating an unwanted reaction that ends up damaging whatever cell is affected and usually leading to a chain reaction effect. This affects blood pressure in two ways. The first is that the reactions that free radicals trigger can lead to inflammation of the blood vessels. The second is that the process helps LDL cholesterol (the “bad” cholesterol) adhere to the side of blood vessels. Both of these effects can narrow the available space in the vessel and result in high blood pressure. Oleuropein interferes with this oxidation process and blocks it from completing. As clinical trials have shown, in order for humans to start benefiting from olive leaf extract, they need to take enough to have 500 mg of oleuropein twice a day for around eight weeks. This has been a point of some confusion, because 500 mg of olive leaf extract is not always equivalent to 500 mg of oleuropein. If you’re considering purchasing olive leaf extract, make sure you know how much oleuropein is actually in each dosage, and always work alongside your doctor as you engage in treatment. Olive leaf extract is not just for blood pressure. It’s capable of addressing numerous other maladies as a result of both oleuropein and other elements contained within. Anti-pathogen: Oleuropein is a known promoter of the phagocytosis process. This is the mechanism by which immune cells—called phagocytes—surround, consume, and destroy invaders. Additionally, as much as oleuropein can interfere with free radical reactions, it also blocks the reproductive ability of certain viruses and pathogens, such as the flu. So not only can oleuropein promote the immune system, it can make sure there are fewer pathogens that need to be eliminated at the same time. Anti-cholesterol: As mentioned above, oleuropein interferes with the process that causes LDL cholesterol to adhere to blood vessel linings. This prevents cholesterol from building up and helps lower your overall level. Anti-cancer: Oleuropein is an inhibitor of certain cell lines that are involved in certain forms of breast cancer, skin cancer, and colon cancer. It is known to have a “tumorcidal effect,” meaning it kills tumor cells and restricts the growth of some tumors as well. Detox reaction: Pathogens release toxins when they die. While the effect is tolerable in comparison to letting the invaders live, olive leaf extract can sometimes cause what is known as a “die-off.” This is when pathogens are killed en-masse and the body becomes overloaded with the resulting detritus. Rashes, pimples, aches, and diarrhea are common results as the body attempts to respond to the toxins and subsequently eliminate them. Enhanced symptoms: Not all of our symptoms from a disease are from the pathogen itself. Sometimes the body’s immune response is the culprit. Olive leaf extract promotes immune activity and this sometimes leads to increasing the severity of immune-related symptoms like inflammation or soreness as well. Blood glucose interactions: Olive leaf extract is known to affect blood glucose levels, usually by lowering them. For diabetics, or for those on medication that can affect blood sugar, olive leaf extract can cause unwanted drug interactions. As a result, diabetics are not advised to take olive leaf extract without consulting their doctor first. “Antifungals: Olive Leaf Extract,” The Candida Diet web site, https://www.thecandidadiet.com/olive-leaf-extract/, last accessed September 8, 2015. Colihan, K., “Olive Leaf to Treat Hypertension,” WebMD web site, Aug. 28, 2008; http://www.webmd.com/hypertension-high-blood-pressure/news/20080829/olive-leaf-to-treat-hypertension. Omar, Syed Haris. “Cardioprotective and Neuroprotective Roles of Oleuropein in Olive,” Saudi Pharmaceutical Journal 18, no. 3 (2010): 111-21. Accessed September 8, 2015. doi:10.1016/j.jsps.2010.05.005. Omar, S.H. “Oleuropein In Olive And Its Pharmacological Effects,” Scientia Pharmaceutica, 2010, 133-54. Bateman, C., “Side Effects of Olive Leaf Extract,” livestrong.com, last updated January 14, 2014; http://www.livestrong.com/article/142825-side-effects-olive-leaf-extract/, last accessed September 8, 2015.